With Prince's vast archives of unreleased material having recently been taken over by Troy Carter, who also runs Spotify's Creator Services, a selection of material has been unearthed and released since his death in April 2016. That looks set to continue later this year with the release of a new album of unheard material from Prince, as revealed by Carter in an interview with Variety. No official details have yet been revealed, but Carter has said that the album will see release via Warner Bros on September 28. 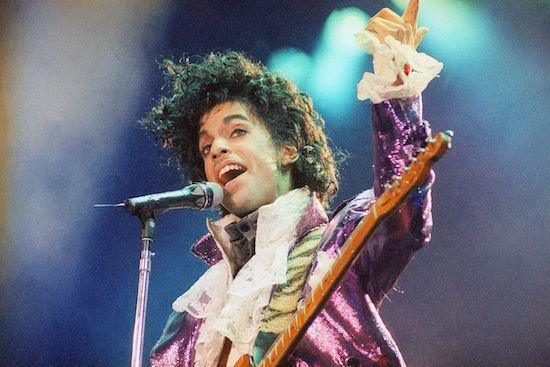 The album will arrive in the same month as a planned biography on the late star which is set to feature his unfinished memoirs, and the news follows the recent sharing of Prince's original version of 'Nothing Compares 2 U'. Prince's extensive archives of completed and unfinished, unreleased music previously stored at his own Paisley Park estate in Minnesota were recently transported to Los Angeles' Iron Mountain by Carter. A lot of that material is now being restored and archived. "Prince basically saved everything, so there are decades of music and video and artefacts, but it takes a long time to go through each one of those and research the historical context: where is this from, who did he collaborate with, where was it recorded, what year, was it the final version?," Carter told Variety. Those worried about the effect on Prince's legacy that the stream of activity in the wake of his death may do will perhaps be put at ease by Carter's claim that he and his estate are being careful with what they release to the public. He continues: "We have a very specific plan around the music, because we don't want to just dump things into the marketplace and have things out just to have them out. Prince was very thoughtful in the way he released music and toured, and being able to preserve and protect that is important as well."